A dishwasher is one of the must-have home appliances every busy woman should have. The dishwasher not only saves your precious time from daily dish washing chore, but it also saves your budget from using too much water in the process of washing. Besides, the use of a dishwasher helps keeping your hands away from detergents. When your dishwasher fails to work, leaves your glasses cloudy or dishes not properly cleaned, your chores may turn into a nightmare with a pile of dirty dishes. Free yourself from exhaustive dish washing and get your dishwasher repaired right away! Our Appliance Repair Los Angeles experts will get to you once you set an appointment and will fix the problem with your dishwasher. The problem may be with drain pump motor, timer or drain hose or the belt. It’s better to ask for professional help of the nearest appliance repair service company in Los Angeles area. Worn door seal or gasket is one of the most common reasons for leaks. Another reason of leakage is a defective pump or pump seal. You also need to check the drainage hose for cracks. The reason for overflowing may be in damaged float switch assembly. Anyway, the problem requires a detailed look, and complex diagnosis with possible dishwasher repair. In case of your dishwasher not filling with water, the water inlet valve, float switch or door switch may need repair. If you get your dishes dirty or not clean enough after a full cycle in a dishwasher, then you need make sure that your sprayer arms are clean from mineral deposits. You don’t have to fix all of these or other issues yourself. It may take too much time and bring no results. Leave your dishwasher repair to repair technicians from Appliance Repair Los Angeles. Providing tips and recommendations on how to increase the service life of your appliance. 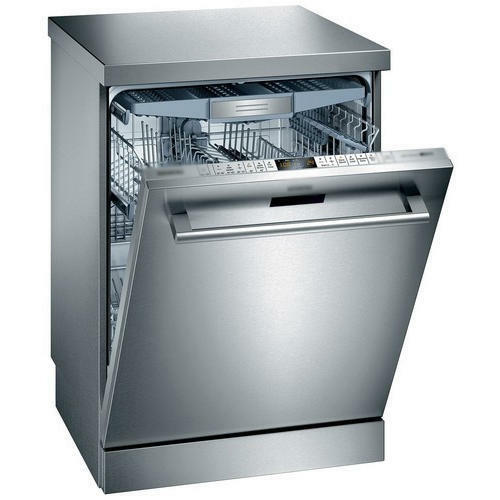 Get your dishwasher repair today to save yourself from the trouble of dishwashing chore tomorrow! Set an appointment or give us a call at: (323) 201-7144.